You won’t get a better photo than this during the election campaign! Dr Kevin Bonham looks at the recent polls and gives the Queensland election to the LNP 47 to 37, with 5 others. He has the LNP on 41.4, the ALP 37.9, the Greens 7, PUP on 4.6, and Others 9. In two-party-preferred terms he has the LNP on 51.8. The puff seems to have gone out of PUP, but The Greens are also not doing well. There’s no single seat polling, but on this basis Newman would lose Ashgrove. Mark will be writing a few articles during the election. He wrote this one for The Monthly. It’s an excellent read. He says it doesn’t really matter precisely why Queenslanders are facing a snap election. We may be as ignorant as the several senior ministers who were relaxing on holidays when the premier’s office leaked the news of the impending campaign to the Courier-Mail. What we can infer is that far from the orderly progress towards a triumphant second term, the Queensland conservatives fear defeat. In part, it’s a tribute to ALP leader Annastacia Palaszczuk and her (now) eight parliamentary Labor colleagues, who have refocused the shattered ALP, and held the government to account despite the very limited opportunities available to an Opposition in both a unicameral parliament and a state with a one-paper town as its capital. But, even more so, it’s a commentary on how hard it is for right-wing parties to govern in Australia – or anywhere – in the mid 2010s. It’s hard for left-wing parties to govern, too, but that’s another story. The LNP won in 2012 largely because it wasn’t Labor and promised an “adult”, “no surprises” approach. In policy terms it was a small target strategy. Holding an electoral coalition together in government, and governing cohesively and in the public interest, rather than throwing raw steak to the dogs of the “base” and the conservatariat, though: that’s a different, and more difficult game. 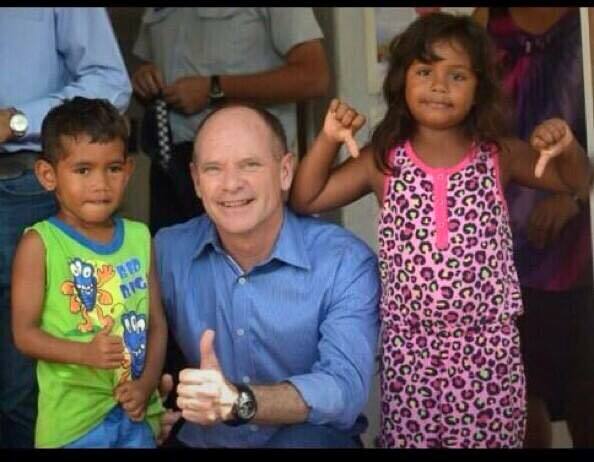 Campbell Newman won, not by projecting an ideological face, but the exact opposite. Yet he leads a government that seems obsessed with humiliating its enemies, with starting fights, with indulging in flights of fancy, such as removing the requirement for water fluoridation and dressing imprisoned bikies in pink jumpsuits. The government disdained both evidence and consultation as it careered from crisis to crisis, and from absurdity to absurdity. Unemployment has surged, jobs have disappeared, and the economy tastes increasingly sour. This week it looks as though we are going to get some policies. Labor is going to reduce the ministry from 19 to 14 to save $27 million. The LNP has announced plans to support apprenticeship training to the tune of $91 million. I’ve heard Newman in campaign rhetoric claiming that he can create 27,000 jobs in the next year, and that he can create 209,000 jobs for the young over the next 6 years. The obvious question here then is “why did Newman not create 27,000 new jobs before he sacked tens of thousands of public servants”? Why is Newman talking apprenticeships? It is because they are the effectively subsidised employment, but Newman will find that target totally unachievable simply because of Abbott’s interference in tertiary education costs. You can’t pay people apprenticeship wages an then slug them huge fees for their training. The answer is simply that Newman does not know how to create jobs, and his claims to be able to do this in the future are an election campaign fantasy. A fantasy of the type in which the LNP specialise. The LNP’s Strong Choices plan will have an “adverse impact” on the state’s fiscal position and cost Queensland $9 billion by 2020, gifting only a temporary sugar hit, economist John Quiggin said, labelling it “misleading”. 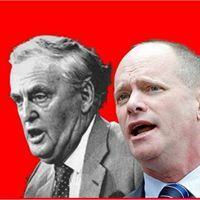 “… Unfortunately, successive Queensland governments have maintained the fiction that we can be a low-tax state while still providing the same public services and high-quality infrastructure as other states. Brisbane Times is publishing a live election blog. Both major parties have ruled out working with ‘others’. We could still have a minority government, but the LNP would find it hard to sell assets. Seems to me that there’s any number of avenues the ALP could pursue. Most of them would be ‘negative’ avenues which I suspect won’t happen, at least in the short term. Broken promises probably head the list. How many of the 14 000 public servants who lost their jobs believed they had ‘nothing to fear’? Then there’s the ‘cash’ for legislative action scandal. Here one could cite Sibelco’s $90 000 (plus) to Newman’s election campaign and the resulting outcome re mining on Stradbroke Island. Then there’s Seeney and his actions re Karreman Quaries. Not only were their ‘illegalities’ excused retrospectively but their ‘damage’ was fixed through a $1.6 million compensation via the taxpayer. One could go on and include attacks on the Judiciary, Law Society, Bar Association. Unions and the like. But I think one can safely conclude the government will be returned, albeit with a significantly reduced majority because a gain of 36 seats is far, far too much to hope for. wpd, unfortunately people have short memories. I don’t read the Oz but someone showed me an article in the Oz cataloguing all the scandals, misdeeds and stupidities. Then how many people read the Oz?! They are not conservatives. If they were conservatives, they wouldn’t be in the mess they have made for themselves. Don’t know what you would call them – they seem to be, nowadays, an ideology-free zone run by a mob of lost sheep. Graham, I agree ‘conservatives’ is not the best moniker. Perhaps Tea Party reactionaries! Still stuck for at suitable label. How about the Thatcherites Without The Plan? Hearing British Conservative P.M. David Cameron a few times over the past few days has now convinced me that the local shower cannot possibly be called “Conservative”.